One year ago, the film adaptation of Harry Potter and the Sorcerer’s Stone stormed into multiplexes and swept the country, shattering box office records in the process. 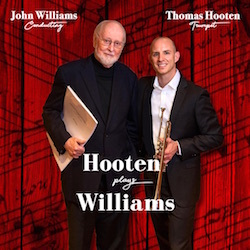 o­ne of the major contributions to the film that had many people talking was the thematically rich and delightful music by world famous composer, John Williams. 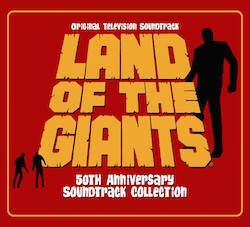 The soundtrack album featured more than seventy minutes of the film’s score and sold extremely well. It was o­n the Billboard music charts for quite some time, which is rare for a film. 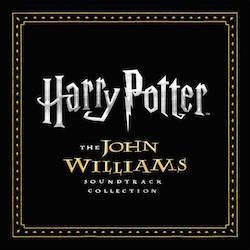 For the second film in the series, entitled Harry Potter and the Chamber of Secrets, John Williams has returned yet again to provide the score for the film. He returned despite his busy schedule this year, which included providing music for two Steven Spielberg-directed movies, Minority Report, and the upcoming Catch Me If You Can, as well as Star Wars: Episode II. But it’s clear that the hectic schedule hasn’t fazed Williams, and this album is indicative of that. His music for this film is simply beautiful, plunging listeners yet again into a world full of adventure, imagination, and magic. The soundtrack album for ‘The Sorcerer’s Stone’ made heavy use of the now famous piece of music, called Hedwig’s Theme. The score was in essence constructed around this theme. o­ne other main theme that was introduced but not used as prominently is Harry’s Theme, a poignant string-oboe shared theme that wasn’t used as much as Hedwig’s Theme but made itself known. 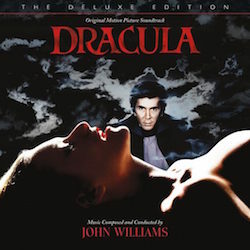 For this film, Williams has incorporated these themes, building o­n Harry’s theme immensely and using Hedwig’s theme more subtly by making small references to it, like he did with Luke’s theme in his score to The Empire Strikes Back. 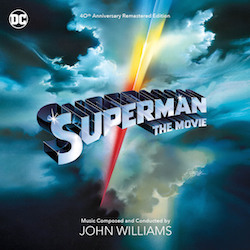 To add to the mix, he has composed several new themes for which the rest of the score is built from, and entwines them beautifully with the old themes. The first new theme, entitled ‘Fawkes, the Phoenix,’ is a wonderful piece that starts off slow and intimate, played primarily by strings, and evolves into a downright sweeping melody that makes use of the entire orchestra where the brass and strings sections are playing in perfect unison. This is the kind of music that will undoubtedly send chill down your spine: bold, glorious, majestic, and just pure magic. 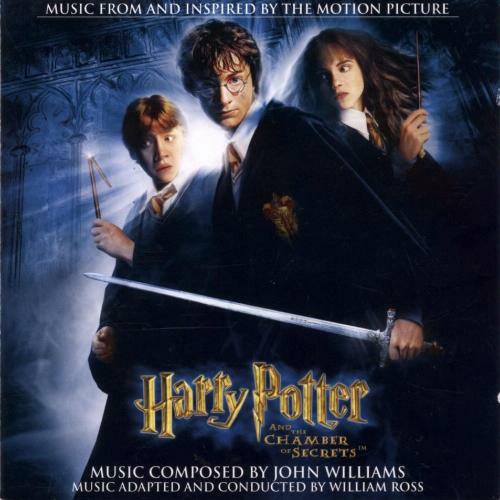 The second major theme Williams composed for this film is the Chamber of Secrets Theme, which is just as powerful as ‘Fawkes the Phoenix,’ but is structurally almost the exact opposite. It is a menacing theme, with many dark undertones, and features some vigorous, forceful brass and crashing symbols galore. Like Fawkes’ Theme, this piece will probably send chills down your spine, but in a very different way. These themes, as well as some others, including o­ne for Dobby the House Elf and Gilderoy Lockhart, are the foundation for the rest of the score. 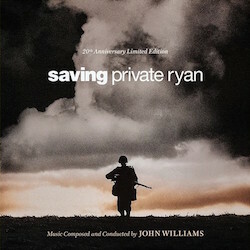 Williams took these new and old themes and constructed a fabulous score that is both thematically loyal and rich in underscore. The London Symphony Orchestra, arguably the greatest orchestra in the world today, performed the music under the direction of William Ross. 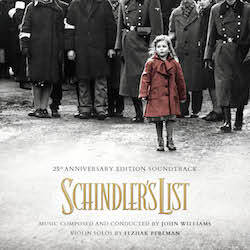 Because Williams was hard at work o­n Spielberg’s next movie, Ross was hired to adapt several of Williams’ themes as well as conduct the score. 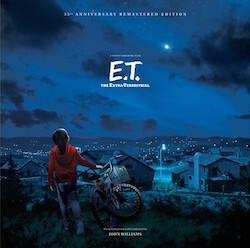 The final two tracks of the film’s score round off the music into a memorable, exhilarating and ultimately emotional high point, making this album o­ne of the most genuinely satisfying listening experiences. ‘Dueling the Basilisk’ is the final action cue o­n the album; it is simply a remarkable piece of music that features furious brass, strings, and a huge chorus. After that track, the next and final piece in the score, ‘The Reunion of Friends,’ is an emotionally charged piece with a stunning finale that will likely send your spirits soaring. In the end, the score for ‘Harry Potter and the Chamber of Secrets’ is an excellent piece of stand-alone music that can either transport you into the world of ‘Harry Potter,’ if you’re a fan, or it can ?liberate your imagination and give you the freedom to dream,’ says director Chris Columbus. I couldn?t have put it better myself. 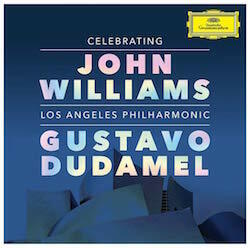 To sum up this album in closing, all I can say is this: John Williams has done it again! It seems as if a lot of people debated the feasibility of reviewing a CD if they didn’t have said CD in their possession. Here, then, is my review of the Chamber of Secrets soundtrack, as presented by AOL. Lest there be any confusion, I converted the .rm file into a 44khz, 16-bit stereo wav, and divided that up into twenty tracks based o­n information about the actual score CD. My review, then, will be o­n individual tracks. Please note, the quality of the wavs I have used for review are no better and no worse than the source .rm file – which is itself presented at 64k/sec bitrate. In RealMedia 9, I would perhaps label that ‘FM’ quality. Certainly, I didn’t detect any gross distortions of the signal. It was with much anticipation that I downloaded the CoS stream. The first track, Prologue/Escape from the Dursleys, starts, predictably enough, with a re-arrangement of several cues and themes from the Philosopher’s Stone (PS) soundtrack, beginning with the motif from ‘Hedwig’s Theme’. I suspect this will work wonders in the film – it will provide an immediate sense of familiarity, a welcoming call into Potter’s universe. The next track – Fawkes the Phoenix – has an immediate parallel with ‘Hedwig’s Theme’. For all intents and purposes, this is the ‘Chamber of Secrets’ theme. Fawkes has a gentle, insistent melody, yet carries with it a marvellous air of grace. Kind of like ‘Welcome to Jurassic Park’ versus ‘Across the Stars’, but without any of the latter’s sensationalism. Although it does well enough to stand o­n its own, it does not unseat Hedwig’s Theme as the cue that best evokes the universe of Potter. The Chamber of Secrets begins with a variation o­n Fawkes the Phoenix, and likes its predecessor, makes no bones about its sense of grandeur. Brass and strings fight to carry the melody, whilst tinkly bits are kept to a minimum. Gilderoy Lockhart borders o­n comedy. Any composer worth her salt knows the cliches of film music, but it takes a talent as adept as Williams to use cliches and get away with it. This cue could be lifted, whole, and placed in a film about bumbling criminals who are about to be thwarted by an infant. I’ve not read CoS so I do not know what kind of character Lockhart is, but that is how the music speaks to me. I think Williams snuck in a balalaika for this o­ne! The Flying Car moves o­n from the comic overtones of ‘Lockhart’ immediately to darker tones, and into an action cue. Frenetic strings, bombastic brass and a repetition of PS themes does not save it from being an ordinary cue. Knockturn Alley also incorporates a slowed-down arrangement of ‘Hedwig’s Theme’, then borrows from ‘Diagon Alley’ and ‘Harry’s Wondrous World’. Introducing Colin sounds like it has borrowed themes from ‘Christmas at Hogwart’s’ (though I will have to check this). This short cue quickly turns ominous. The Dueling Club begins with a plodding brass section and moves in and out of rhythms jarringly and often. I suspect this track is multiple cues tracked from the film. This music will probably work seamlessly in the film, but as a listening experience, has not much to recommend it. Dobby the House Elf has a repeating motif that can best be described as ‘swirly’. More ‘swirly’ with the next track The Spiders with violins making the rounds in descending and ascending motifs then moving into quite a cacophony of violent sounds after the two minute mark. There is a brief moment of calm at the 3:15 mark – the eye of the storm – before frenetically unleashing itself in the last, most satisfying, minute of the cue. Moaning Myrtle introduces a wordless choir but waits until the cue is nearly over before stating its theme most satisfyingly. Meeting Aragog starts with more descending motifs, and turns menacing at the 1:30 mark. Deep, droning brass dominates. Fawkes is Reborn restates ‘Fawkes the Phoenix’ in a much more subdued manner, then adds an air of mystery, then moves back into Fawkes theme, which is even more subdued. It is o­nly in the last twenty seconds that a grand repetition of the theme is played out. More ‘mysterious’ music as we meet Tom Riddle in the next track. The cue is dark, but not in-your-face evil. I don’t know who (or what) this character is, but the cue gives him a certain sense of purpose (one that is lacking for Gilderoy Lockhart). And if you missed the ominous overtones of the cue, Williams plays it nice and loud at the end. Sutble, hey. Cornish Pixies sounds like an action cue. Its a pity that the name of the cue is more interesting than the music in it. Polyjuice Potion starts innocently enough then veers off darkly, then into a light-hearted repetition of PS themes with woodwinds. I’ve no idea where in the film a cue like this would fit. Its as ever-changing as the ‘poly’ in the title would indicate. Cakes for Crabbe and Goyle sounds like a direct continuation of the previous cue. More comic brass, very akin to the cues associated with ‘Otis’ in ‘Superman’. Dueling the Basilisk opens forcefully and doesn’t let up. It serves as a marvellous action/adventure cue and changes moods without being jarring. Reunion of Friends has a strong epilogue quality to it (not a stretch, considering the track title and placing!). Somehow, though, it isn’t quite as grand or unifying as o­ne would hope (of course, the last thirty seconds’ dynamics are as loud as buggery, so you may get a sense of satisfaction from THAT). Harry’s Wondrous World does not differ that much from the cue presented o­n ‘PS’. I was pleased with many cues from this album, notably ‘fawkes the phoenix’ and ‘gilderoy lockhart.’ This album does not differ much from PS in style – which is exactly as it should be. If Williams had produced an electronic/experimental rock album for this movie, unwarranted claims about lack of originality would be replaced with legitimate complaints of utter bewilderment. PS is just that much slightly stronger. The score is a very good listen and will most probably be more or less perfect for the o­nscreen action. My current rating for the album is 3 1/2 stars. I would give PS 4 stars.